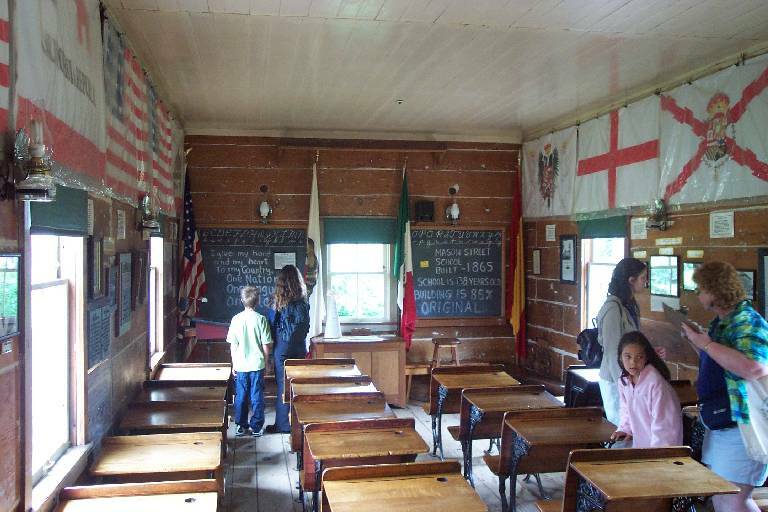 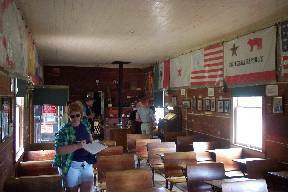 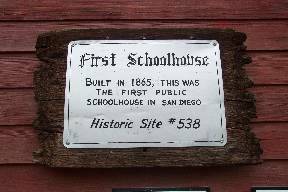 FIRST PUBLIC SCHOOLHOUSE IN THIS COUNTY. 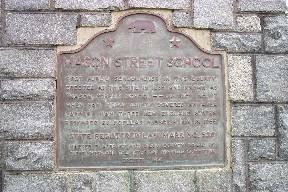 "MASON STREET SCHOOL - - DISTRICT NO. 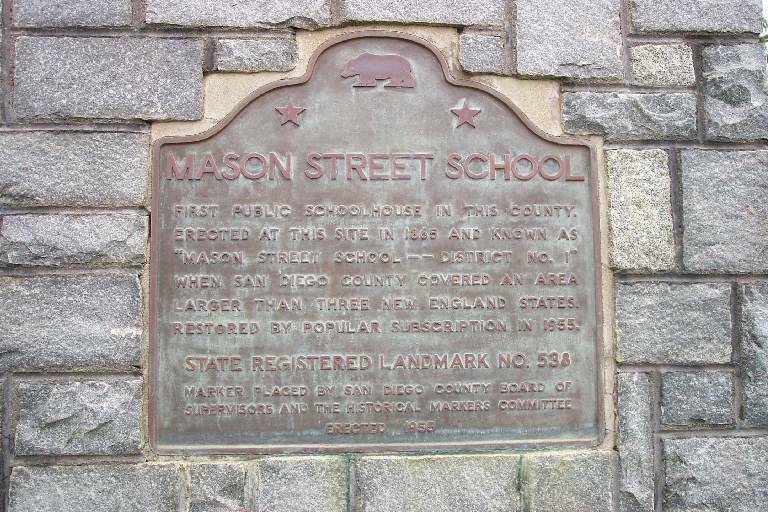 1"
LARGER THAN THREE NEW ENGLAND STATES. 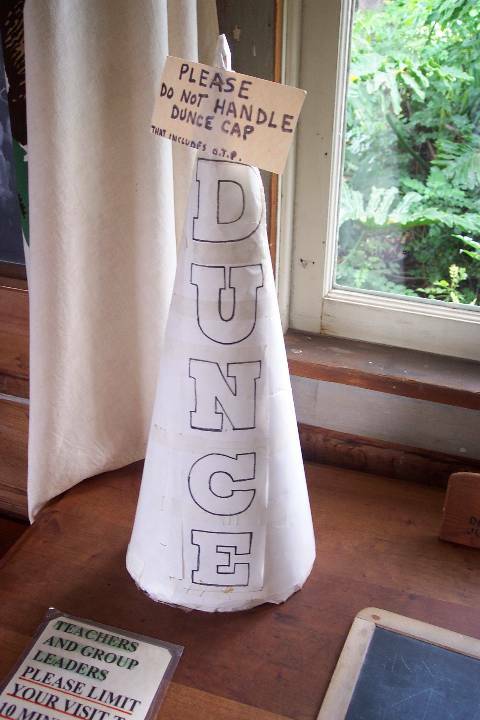 RESTORED BY POPULAR SUBSCRIPTION IN 1955. 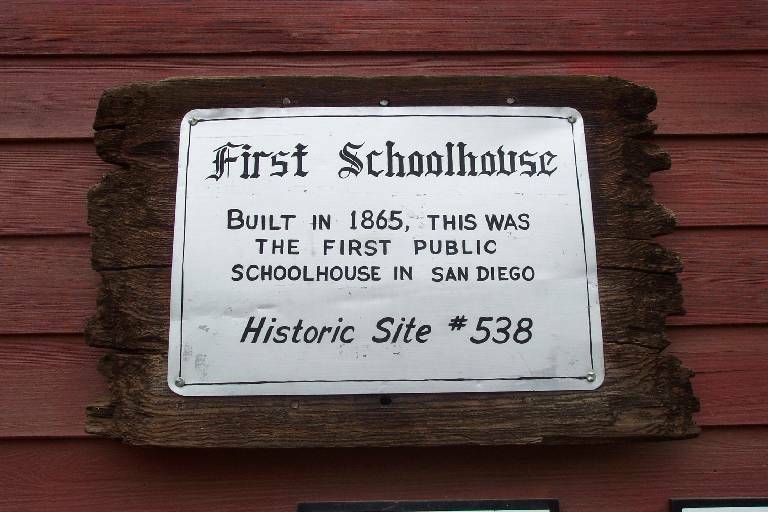 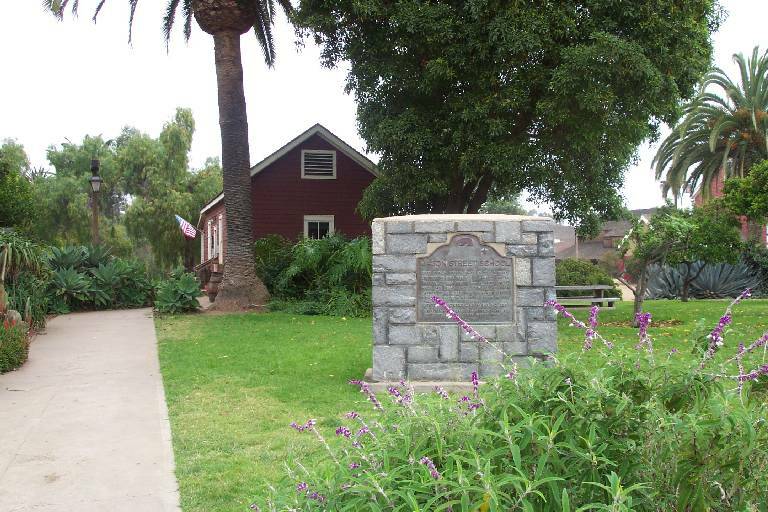 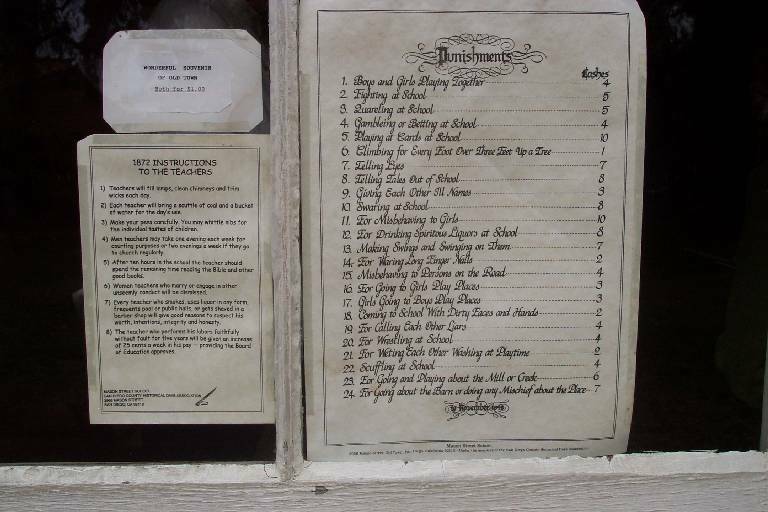 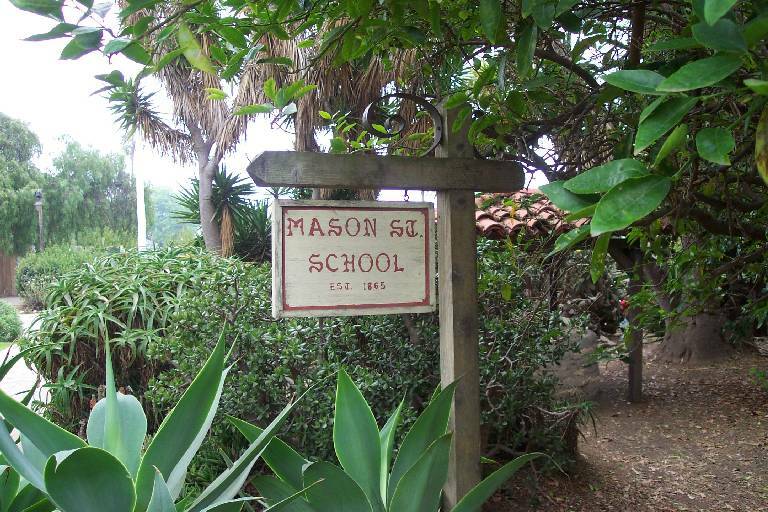 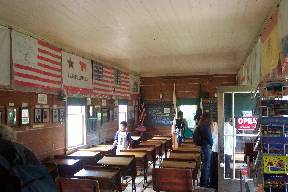 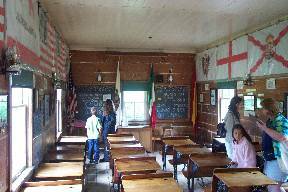 The Mason Street School is located at the Old Town San Diego State Historic Park, San Diego Avenue at Twiggs Street, San Diego. 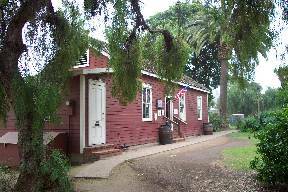 See	map.